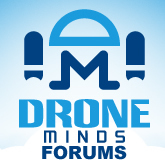 Discussion in 'General Drone Forums' started by photojunky, Oct 22, 2018. I don't know what the problem is. Recently, all of my drones seem to do what they want. Some start out ok, but then start acting erratically. The common part among all the drones is the transmitter. We will see if that is the issue next week. I just ordered a Futaba 14SG transmitter. What tx do you have now? Futaba 10J now but have on order a Futaba 14sg which should be arriving in a few days.